The weather forecast said "foggy/cloudy AM with light and variable winds clearing to partly cloudy in the afternoon"... ya, right! 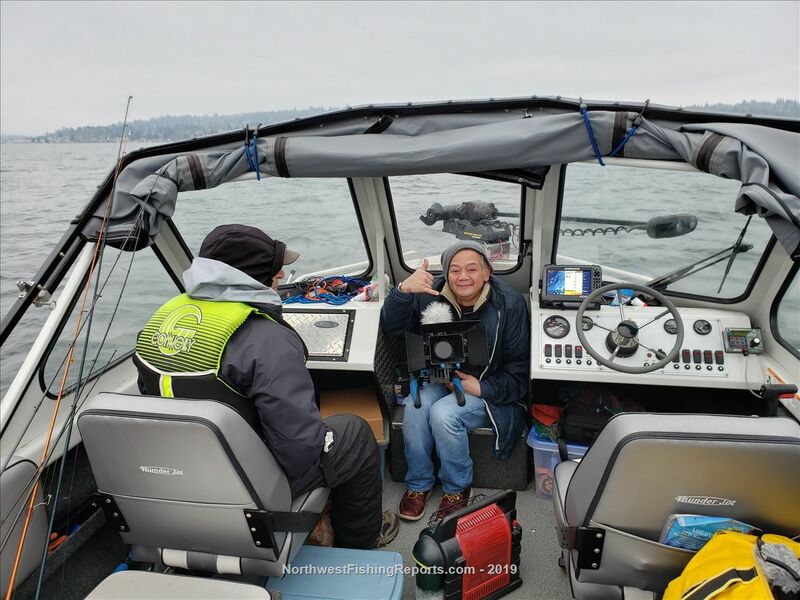 I met up with fishing buddies Robbie and Randy R from NWFR at Newport marina as we set out for a day of winter perch fishing. Given the forecast, I was lucky I threw on my GH Unders base layer at the last minute because Mr. Weatherman was a little off in the forecast. It never got past cloudy and the light variable wind was just a tad more than that, making for some cold fishing buddies. My hats off to Robbie and Randy for sticking with it as we fished from 9am to 2pm. Robbie and I having gone out two weeks ago exploring, I knew where I wanted to start this time around and in no time at all we were set up and drifting along at .4 to .7 mph with drift socks out. 2 oz droppers were about perfect to fish from 70 to 100 feet deep. We each had a couple hooks and used either worms or perch meat. The perch meat I think was the more productive of the two baits. Fishing was not red hot but it was steady as we focused on finding the bigger fish, which turned out to be in the 9-11" range. After cleaning the fish I noted a good number of females with full skeins of eggs. We also had one perch that threw up a couple bait fish. 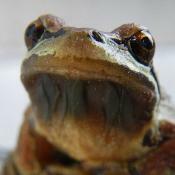 Perch are noted as being smolt eating machines so don't be afraid to thin the population. 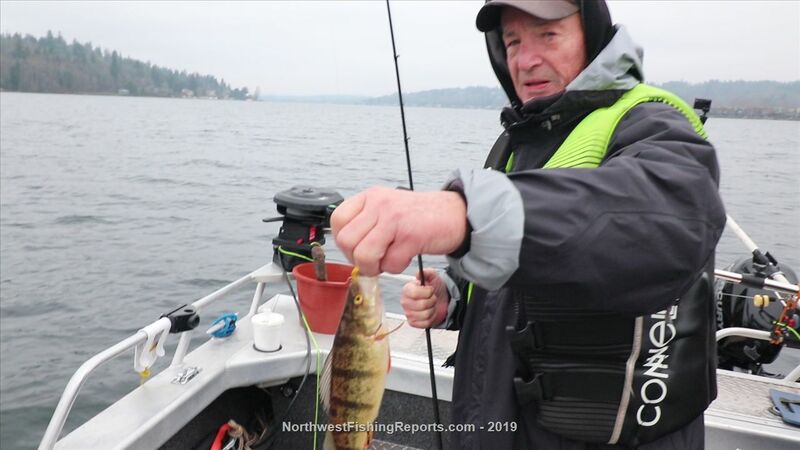 With 22,000 acres and about 20% of the biomass being perch that means there are likely to be hundreds of thousands if not millions of perch in lake Washington. Just be sure to pay attention to the consumption advisory. One meal per week for adults and no pregnant women eating these perch. 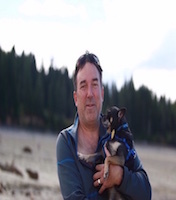 It's a shame but that is the state of the fishery on Lake Washington. We ended the day with a bucket full of perch to clean. 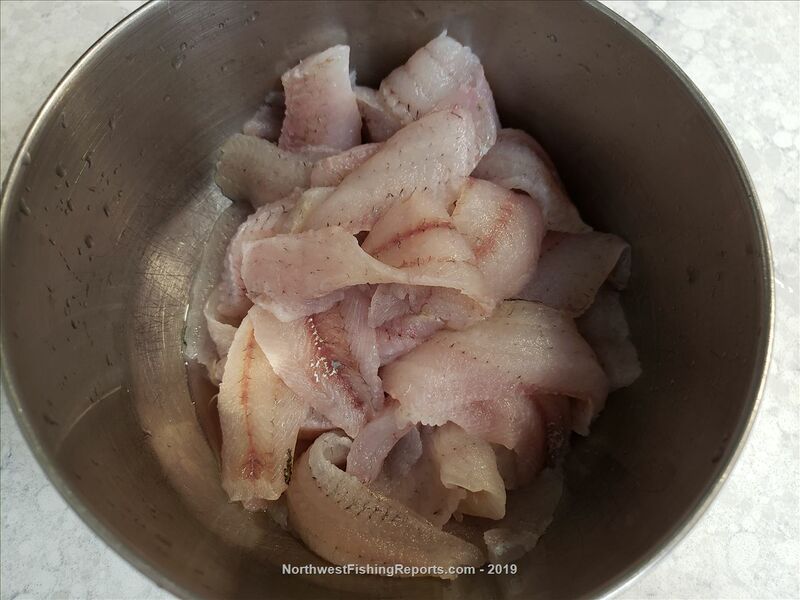 I took mine home and made short order of the job with an electric filet knife - a must have if you need to filet a pile of perch! 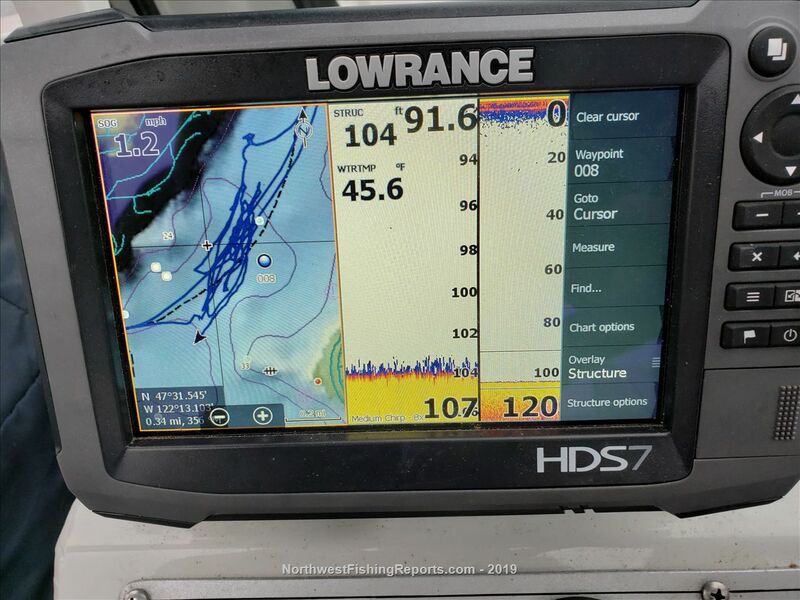 Be sure to keep your gear on the bottom and don't jig aggressively. The perch are sitting bellies in the muck so dragging along worked quite nicely. Trying to tell what Robbie is holding in his lap? It looks like a Klipsch corner horn, circa: 1970’s. But not likely on your boat, lol.. I appreciated your sticking with it Randy! Surprising and disappointing the sun didn't break through. Monday of course was beautiful and sunny LOL. What do they look like on the sonar? Enjoyed your report on a very under fished fishery in this region with loads of potential. I always enjoy your videos and have benefited from them. Here is a suggestion for you, Mike. 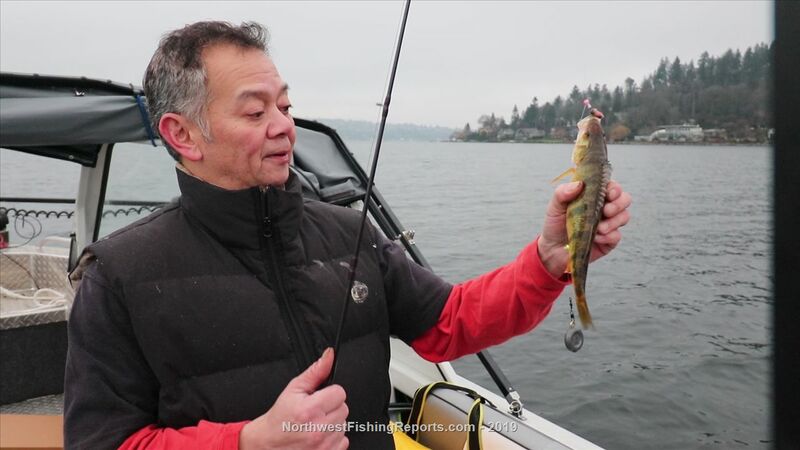 Why don't you do a video covering the Perch fishery as it pertains to Lake Washington. I'm sure a lot of guys, gals and kids would welcome it. Lol, that was the purpose of this trip! 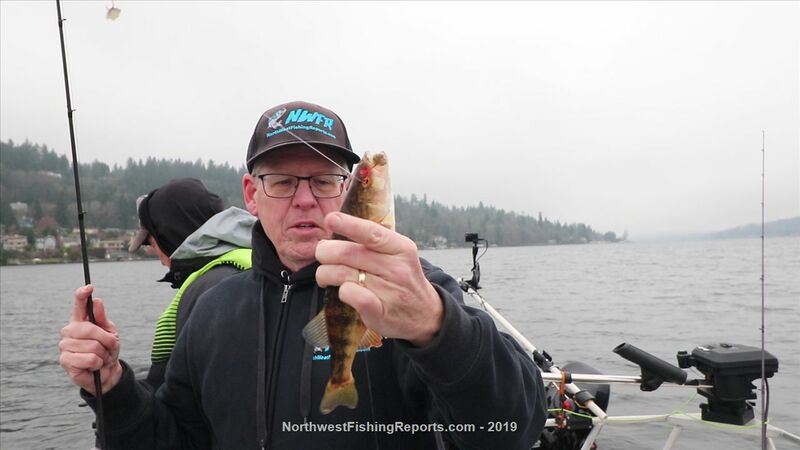 Okay, Mike, thanks for the heads-up on a future NWFR video covering the Perch fishery on Lake Washington. That should be a winner especially for those of us who are seniors and who can't or don't like to travel long distances from Greater Seattle to do our fishing. I guess the fact you were in the act of doing such a video during the above report must have flown over my head. didn't see it but I'm pretty sure I had put it together. Great report.....pretty much in front of my house. You do anchor up for this fishery, correct? I have a pontoon and I am not going to anchor if I were to try this. Days like today (1/30) I reckon I could try with no wind. Launch at the park near my house and have little rowing to do. Voungngo206 they look like irregularities on the bottom, not arches.